Just lovely hat and mittens. Awesome pictures and patterns! Yeah, that yarn looks like just what the doctor ordered. lately i’ve been obsessed with the color gray and colors that look awesome with it like that copper tone. beautiful. is this obsession terminal doctor? Elinor, how how how do you do it all? Home, kids, husband, medical school and knitwear designer! I am impressed! 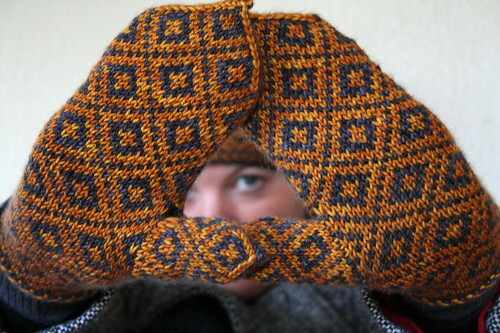 I think I’m smitten with the same disease… mostly mittens..
Love the set you made, and the yarn looks fabulous! ooh, what a gorgeous set!! I love the colours. the bright citrusy hit of orange is perfect for dull winter days! Gorgeous! Lovely pattern & a perfect colours. Those are amazing! I love that pattern. These are fantastic. Love. 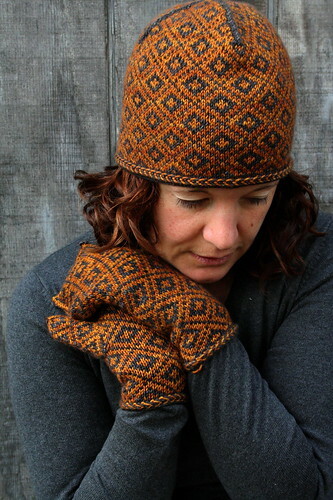 And oh my gosh plucky knitter yarns – amazing. That tonal orange is such a beautiful color. Looks fabulous in this project! Absolutely love the set! Orange is my favorite color so I’m definitely thumbs up with it. Keep it up! FITTODO is a life journey, not a sprint. You’re building a healthy and happy lifestyle, one that will have positive effects on every aspect of life from now on. Love the pictures, projects, and medical jargon. 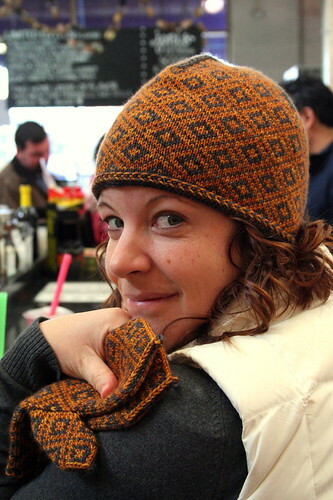 Look forward to following some of your designs from Ravelry! I recently purchased the book “Knitting Hats and Mittens From Around the World” and am excited about knitting your Min Ulla Hat. I noticed that I have the choice of knitting from chart A,B,C or D for the hat. The instructions then say to knit the top of the hat from chart E.. There is no chart E in the book. 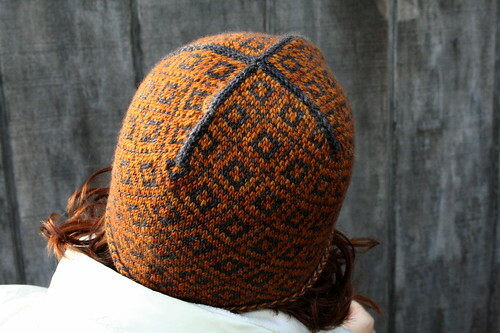 Please advise as I have my yarn and needles all ready and sitting here waiting to knit this beautiful hat. This is Amy AGAIN. I also noticed today when I went to knit the Min Ulla Mittens from the book “Knitting Hats and Mittens from Around the World” that the book is ALSO missing the chart for the Large size mitten. Ugh! Please advise whom to contact to obtain the missing charts that were omitted from this book. I wanted to bring this to your attention because it is a new book and I am quite sure that you will have many questions regarding this problem with the missing charts from the book. Hope you are doing well. I just discovered your blog while I searched for information over a fair isle steek. I found your tutorial and it was interesting. 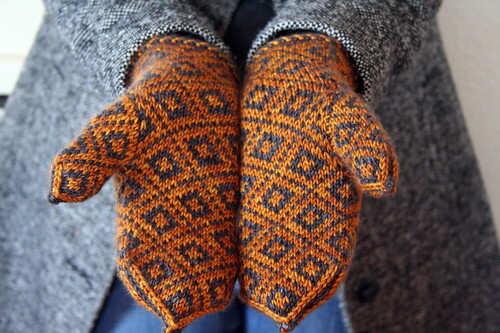 The way you secure your stitches is something I may use in my first fair isle project. You have a beautiful blog and I hope that one day you will blog again. If that is so, please let me know. Thanx for sharing your skills in fair isle knitting.